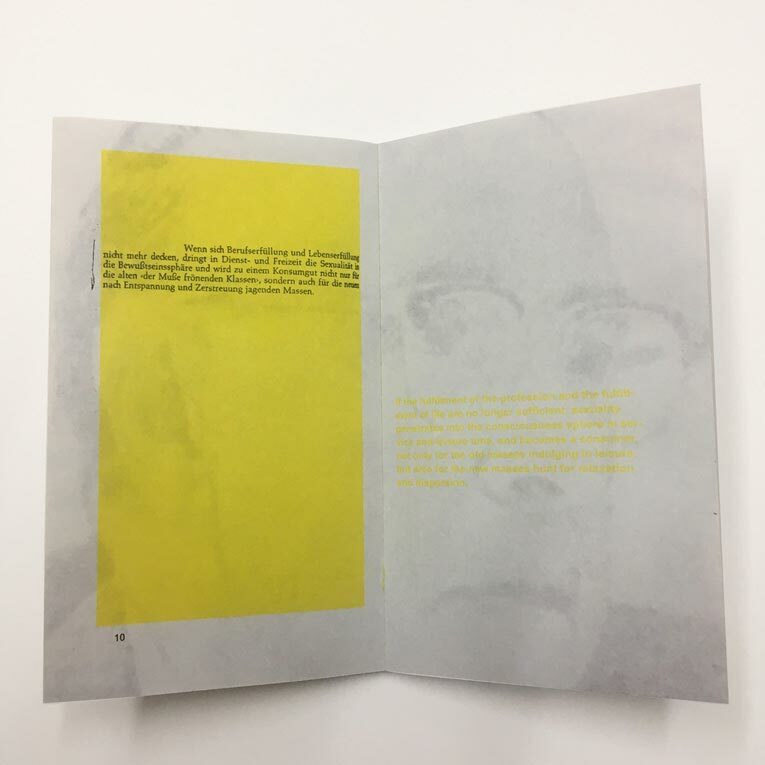 The snippets in this book have been found in the private book collection of a computer scientist, philosopher and journalist, and documentary filmmaker – let’s call her Imma – born in the late 1940s, living in a small village near Berlin. When Imma wasn’t home, Jolanda and Richard had the chance to sneak through the books on her shelves, discovering traces, book marks, and annotations; sometimes spread out through the entire book or rare and distinctly placed. Those traces and marks led Jolanda and Richard through Imma’s impressive book collection, providing a constructed idea of a woman mostly unknown to them and most likely unknown to the dear reader. Since most of the books were written in German, the texts are translated into English in the incomparable language of google translate. 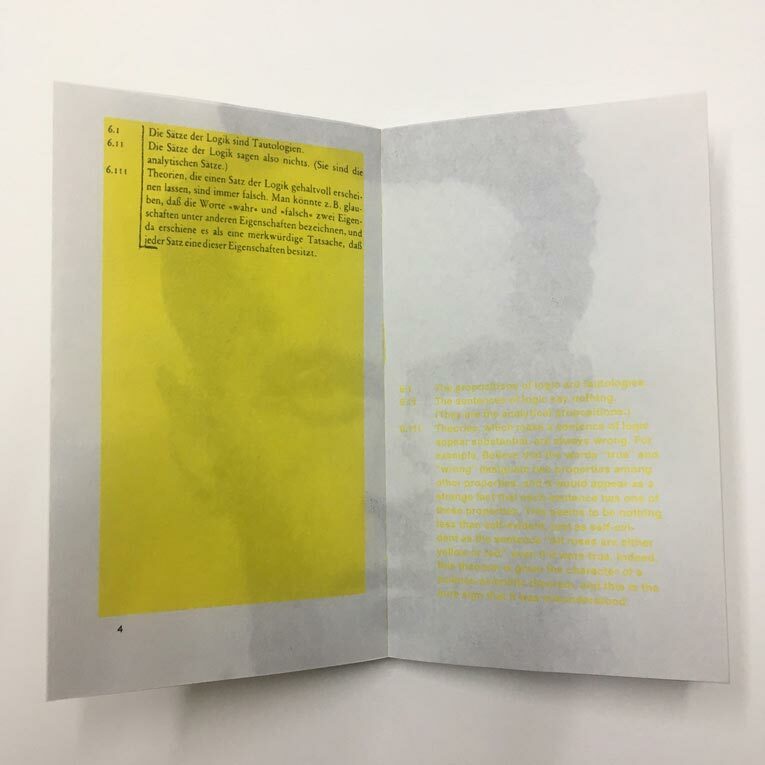 One can also think about something that is not acute is published and printed by Colorama on the occasion of ‘BOOKS on BOOKS’ – hosted by Anna Bergquist, Johanna Maierski and Kathrin Schömer.